My mother-in-law and I tried our hand at a larger garden this year. A friend gave us three huge rows in his really enormous garden and then we went to town. We planted a lot this summer, and I think we were pretty ambitious for our first year. Did I mention that these are all organic as well? Yes sir! Not a chemical touched these suckers. All natural. That also makes us pretty darn stoked. Getting over to the garden was a little bit of a challenge, but we made it work as much as we could.We had to water and weed and weed and weed. Next year, we are going to lay hay over all of it as soon as the plants start coming up--lesson learned. But what I have enjoyed the most out of all of it--hot days, dirt and all--was meeting my mother-in-law at the garden. Some days I would get up, drink some coffee, throw on my rubber boots and get in the dirt. By the end of it, I was covered in sweat and happy as a clam. There is something about being in the dirt and gaining that knowledge of the earth that makes me happy. And doing that will someone I love sweetens it considerably. We’ve had two “big” harvests so far and we are pretty proud of ourselves. For our first year, I am happy with what we have gotten. Some of our cabbage got totally eaten by bugs, but considering this was the first time that I have ever had any measure of success with cabbage, I’m calling it a win. Also? We got the cabbage plants for free, so honestly, double win! The most successful plant thus far? The onions! 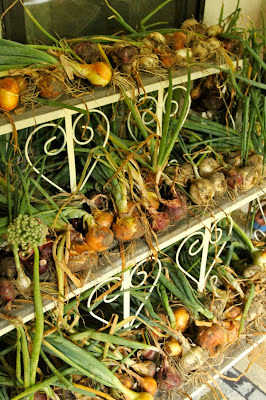 We have a ton of onions drying out on the porch right now. We will certainly do those again. Now we’ve got tomatoes coming in and that has got us pretty excited. We planted 20 tomato plants in a couple of varieties and I am looking forward to them getting all red and plump! I have been eating a ton of tomato sandwiches this season with homemade mayonnaise....I never have gotten so much joy from a simple sandwich. So tell me, what is something you do with the people you love that makes you happy and brings you closer? It can be gardening or cooking or fishing or whatever--I wanna hear about it! Leave ti for me in the comments section below! It’s nearly August which means that my writing season has officially kicked into high gear...well, I should actually say that it’s been in high gear since July fourth. This is the time of the year where I start to feel the crunch a bit because I’ve got to be “on” as a writer, but also because summer is here and fun is a-calling and stuff. As the crunch set in, and as I began to feel it, I randomly downloaded Candy Crush on my phone. I proceeded to quickly become obsessed with it. This, I understand, is the nature of this sort of beast, but I was taking it to obsessive candy levels. I was staying up until midnight playing the game...I was seeing candy in my sleep. I was mentally matching up patterns in carpets for god’s sake. I noticed that the second I got home, I was getting right on the game and ignoring, well, everything. The more I tuned out and into the game--until literally hours passed--the more my anxiety was heightened. I was using the game to numb out in the hope that I would be able to relax, when in reality relaxing was no where on the menu. Oh, and I stopped meditating for a couple of weeks and skipping workouts like crazy. I mean, who has time for that crap when you are busy obsessing over little throbbing candies and trying to rid the world of chocolate?! And I exclaimed, “It’s Husband Crush!” Oh. My. God. I was Candy Crushing my husband. 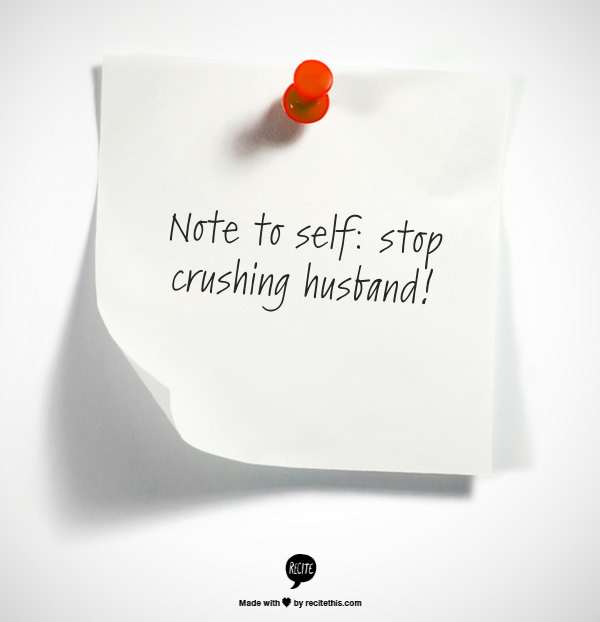 Seriously, though...how many of us have engaged in "the husband crush" when we are feeling pressured?! It’s funny how when things get a little crazy we have a tendency to apply pressure to someone else in an effort to distract ourselves. I can harp on anything when I’m feeling stressed, asking questions interrogation style--so that it really hits the point home. All the time, I think I’m helping by asking, “Have you called Wilmington College? Have you set up a meeting? Did you talk to your boss? What is your schedule tomorrow? Did you eat lunch? Was it healthy? Are you planning on working out today?” But in reality, I’m probably buggering the hell out of my husband who is a grown man perfectly capable of managing his own life. I catch it soooooooooooo much earlier now than I used to, thank god, which means I can pull myself back from the edge. One way I do this is by shifting from being a maniac who must control the world back into a normal human being. I have broken this down in steps because, frnakly, addicts work well with steps and since I am admitting I have a problem (Candy Crush + Anxiety = Husband Crush) I know that this ail work for me. Step one: I meditate. Religiously. It’s amazing what breathing will do for me. Step three: Self monitor like a biscuit. So, when my husband comes home I say to myself, “I am going to ask him how his day was. I am not going to try and solve any problem he might have had. I am going to tell him I proud of him and that I love him.” And then, get this, I am actually going to DO IT! Step four: repeat steps one through three as often as possible. Within a few days I had stopped crushing candy for hours on end (although I still enjoy it and can I say, I’m pretty good at it) and more importantly, I stopped crushing my husband. Magically, he still accomplishes all the things he needs to, and I think he enjoys me more when he's not being lined up and crushed like a bunch of little computerized candy pieces. So tell me, do you crush your spouse when you are feeling the crunch? Share it with me in the comments section below. I never miss school...except when I think of school lunch. Call me crazy, but I loved school lunch. One lunch I especially loved was the flying saucer, which, if I remember correctly, was little more than a bologna sandwich, heated with cheese on a bun and then wrapped in foil. So yummy. Recently, I was on a trip to Buffalo to visit family, and my Uncle Duff took us out to the Buffalo Brew Pub. They had a section of Buffalo staples on the menu and one was a bologna sandwich....now when my Uncle Duff heard I had never had a Buffalo style bologna sandwich, he insisted I try it. Buffalo bologna sandwiches and I are now besties. You have to get your deli to cut these special for you. I told the lady at the deli to cut them "like a ham steak" and she did a great job. These two slices are a quarter pound each. 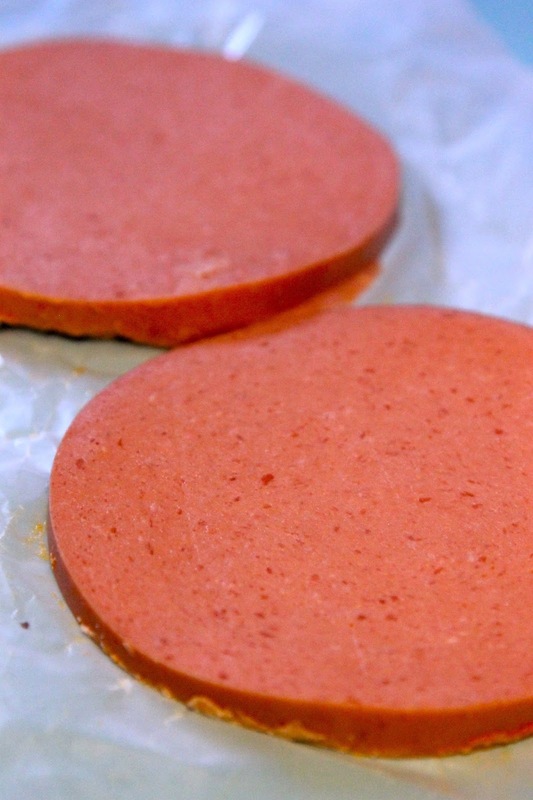 So you would ask for a half pound of bologna, slice in half basically. I freeze my peppers in season and this year was no exception, so I just threw some in the pan along with an onion and some olive oil and fried these suckers up good. Once they are done, remove them to a bowl until you are ready to top yoru bologna with them. Oh, AND, for the buns, you want those big kaiser style ones. Hamburger buns will do in a pinch, but really, you want them a might bit bigger than a hamburger bun can offer. This is also the place where we should talk about condiments because my husband and I have different ideas about this sort of thing. First of all, I don't think that any condiment besides mustard is appropriate for this sandwich, but I am not the condiment police, so let's start there. My husband thinks that this sandwich requires ketchup. No judgments....just sayin' that I think all it needs is mustard. Let's talk cheese. 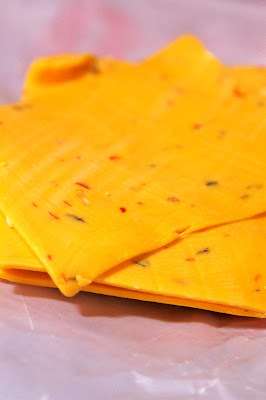 I have been swooning over this amazing New York style cheddar cheese with buffalo sauce it in it. Yes, it's a spicy cheese. I love spicy and I love cheese, so for me, this was a match made in a cheese/spice heaven. You can really use any kind of cheese you like. Cheddar is betta, but spicy is nicey. Hehe....I'm so cheesy, it's coming out of my fingers through teh keyboard and into this blog post. I hope you can handle that cheese. If you do burn it, though, like I did...you can just cover it up with cheese. It'll be our little secret. 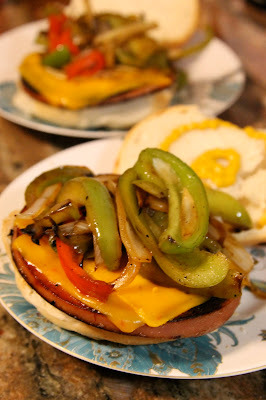 Now throw your cheesy bologna on the bun and top it with those lovely peppers and onions. If I had a bigger mouth, I would have eaten it in one big, juicy, Buffalo-style bite! I think my Uncle Duffy would be very proud!!! Heat olive oil over medium high heat in a skillet. 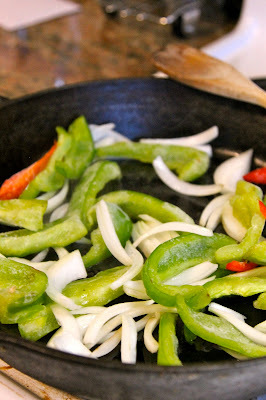 Add your pepper and onion and fry for 8-10 minutes, stirring occasionally until they are are nice and soft. Remove to a bowl when done frying. Slice your kaiser rolls in half, put them on plates and put on your mustard. In that same skillet, lower the heat to medium and fry your bologna for two minutes on each side. Try not to burn them, as I did....however, if you do, cover up the evidence of the burn with two slices of cheese on each slice of bologna. I like to put my cheese on while the last side fries so it gets "melty." Place your fried bologna and cheese on the buns. Top with the fried peppers and onions. Eat and just enjoy life because you are devouring a very tasty bologna sandwich!!!! If it's one thing my gals love, it's some chicken treats. Now, I know that there are all these fancy pants treats out there that I could buy, but let's be honest: I'm cheap. I don't want to pay for something nature can make, and there are a whole host of things that chickens just love that are all natural and much cheaper than a bagged and processed treat. With the heat recently, I have been making these ice block treats with some of their favorite fruits and veggies, and boy are they are a hit! Their purpose is two-fold. 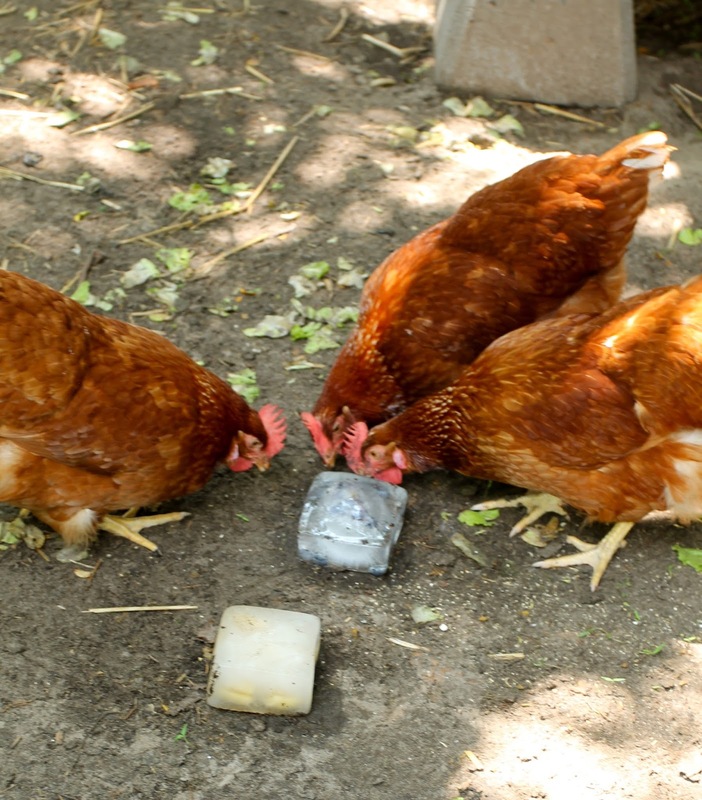 The first is that it gets the chickens to peck at the ice and cools them down. The other is help them have a good old time pecking away at stuff they love! To make these treats all you need are some fruits and veggies and some water. And a freezer, of course! And while I'm on it, you might want to have some chickens, too! They are inspecting them and pecking at them. This is a banana one that I made. I also used zucchini, squash, cucumbers, blueberries, and mulberries in some as well. The more densely you pack the food in with the ice, the better. That is one thing I learned. The more "goodies" in the ice, the more apt they are to peck at them and cool down. So tell me, how do you keep cool in the summertime heat?!?! I am obsessed with preserving stuff in season. Just obsessed. 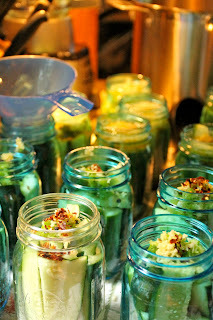 Whether it is freezing or canning, if it can be preserved I'm a-doing it! 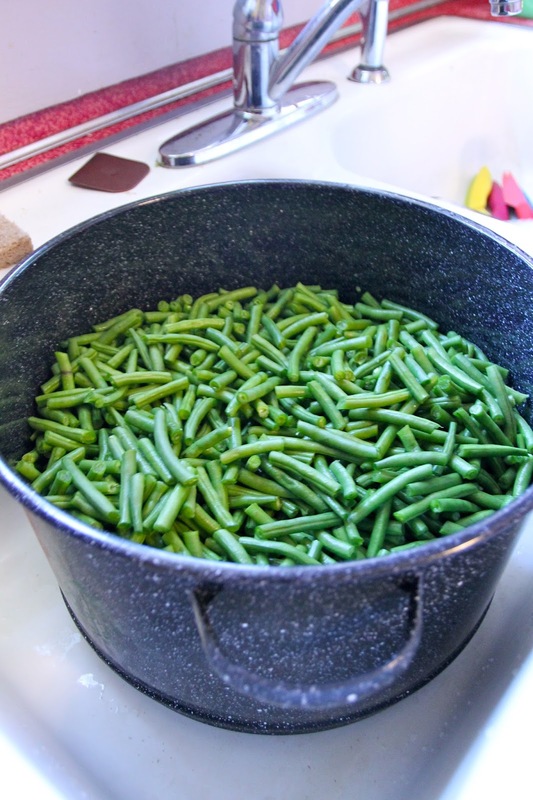 The other day, we got some green beans from our farmer and we set about to freezing them. At first there was nothing note worthy about this process, but when my mother-in-law and I decided to change up our system of freezing the green beans from last year, I thought it was worth sharing. 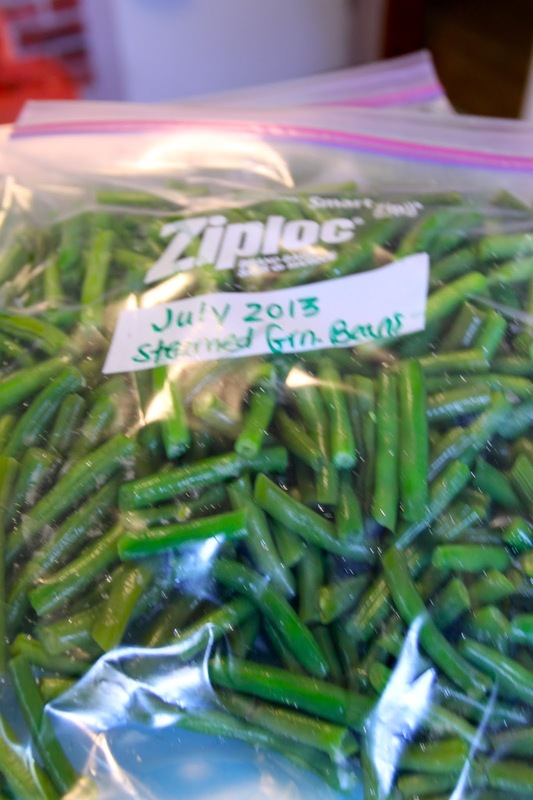 Last year we simply took the ends off of the green beans, washed them, dried them and then stuck them in freezer bags and called it a day. They were good, however, we noticed that we had to cook them a lot more than normal and that had us a bit frustrated. As far as we are concerned when you are preserving in season it should be better than what you can buy in the store, am I right? Well, we had this whole debate last year over blanching. 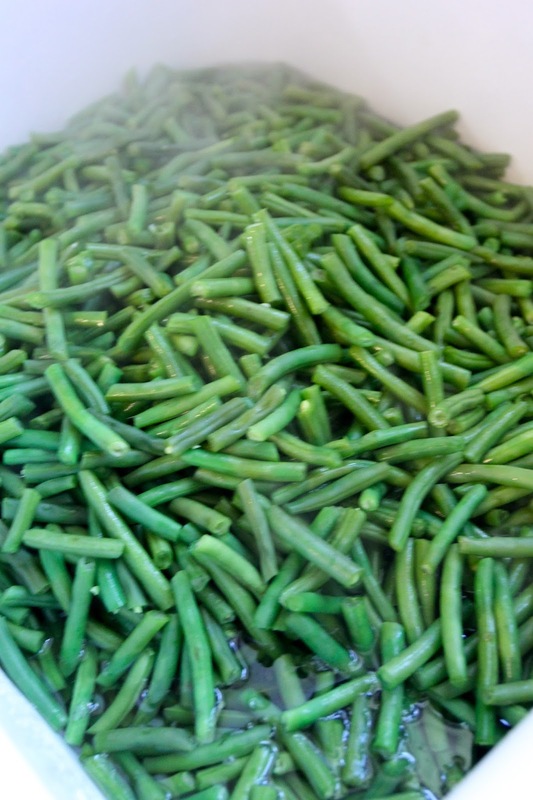 Some people will tell you that blanching is for stopping bacterial growth. Others will say that its to preserve the color. 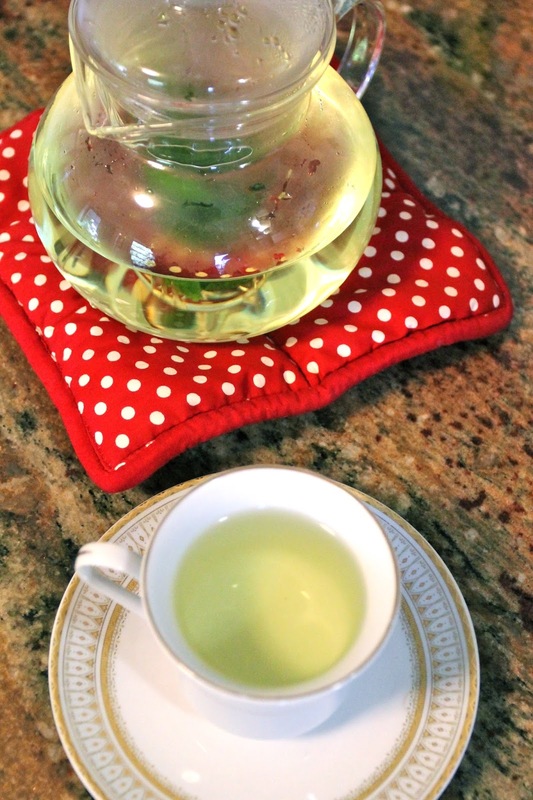 Some will say that when you freeze you don't need to blanch because they both stop the aging process and that is ultimately what you looking for. Look, I'm not sure that I really care about any of those arguments because in the end, let's just do what works and tastes the best! This year when it came to green beans, we decided we better blanch them....for taste and cooking purposes. One problem: we had a heck of a lot of beans. A heck of a lot. Blanching seemed in some ways not very practical....that is, until we remembered that my dad had gotten me an awesome lobster pot for Christmas this year. 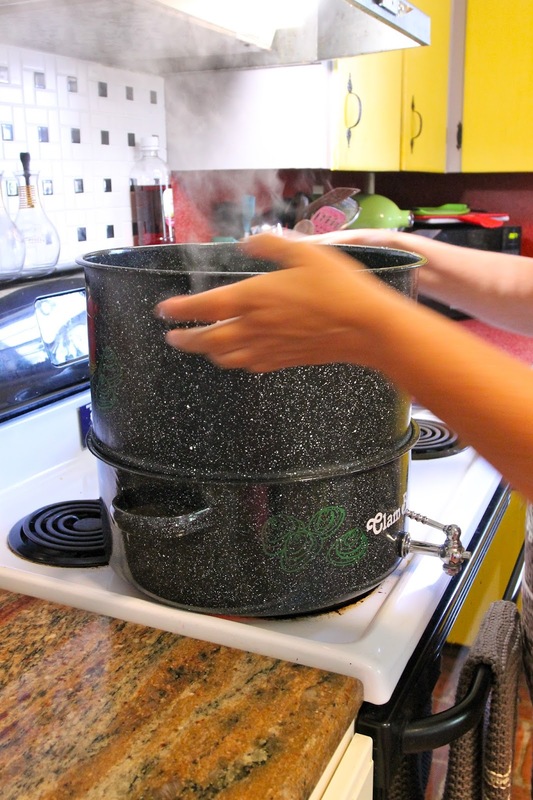 So, rather than boiling the beans, we steamed them and then plunged them in ice water. I saw online that someone called it "steam blanching." I just call it "awesome." It saved us a ton of time. The sheer number of these we had was pretty amazing. We cut them in half to have them all a uniform size (and good for soups!!!). We put them in our steamer and then steamed them for ten minutes. If you have a smaller batch, you can steam yours for 3 minutes...we found it took the steam a bit to rise in our rather large pot. See? The lobster pot made an excellent veggie steamer for this large batch! Then we threw them in the ice water. It doesn't look very icey right now.....but there were a heck of a lot of beans!!! AND, you always want to make sure you are dating your bags...because there is a fine line between food preservation and food hoarding. Trust me. Have you got any tips for preserving in season foods? Share them with me in the comments section below!!! After reading, Beautiful Disaster, I was really excited to read this book. It's basically the other side of the story, from Travis' perspective. What was great was that I got all those juicy details from Travis' side and it filled in a lot of blanks, which was great!!! Written in the same great style McGuire used in the first book, this expanded their love story even further. I enjoyed hearing Travis' voice instead of Abby's and hearing how he fell in love with his Pigeon. I also really enjoyed the little twist at the end that gave even more insight into their lives....can't spoil that one for you, sorry, you'll just have to read it. One thing that really hit me in this book was why both the books are so popular, and why they resonated with me in particular. When we fall in love, there is so much of that feeling of love that aching, even painful, and wrought with uncertainty. ultimately, I think a lot of women fantasize about a 'Travis' in one way or another. What I mean is that in the book he falls so utterly and completely for Abbey and she, as told by him, "tames" him. He wanted to give up any and every thing he needed to in the name of love and that is the romantic picture that we enjoy when it comes to these love stories. He is devoted to her--he even says it in both books--how he belongs to her. One of the most basic psychological needs a human has is to feel that belonging....whether it is to a group or another person, we spend most of our lives seeking just that. It's all part of the appeal in both of these books because it is the theme: how do we, as people, fall so completely that we belong? We long to experience it, and yet, we screw it up. That is kind of where realism and fantasy collide in the book to give it the sense of romance that allowed me to dive fully into the story. These two books were great reads. Really. I highly recommend them because the concept of the two perspectives, especially read back to back was a great exploration. 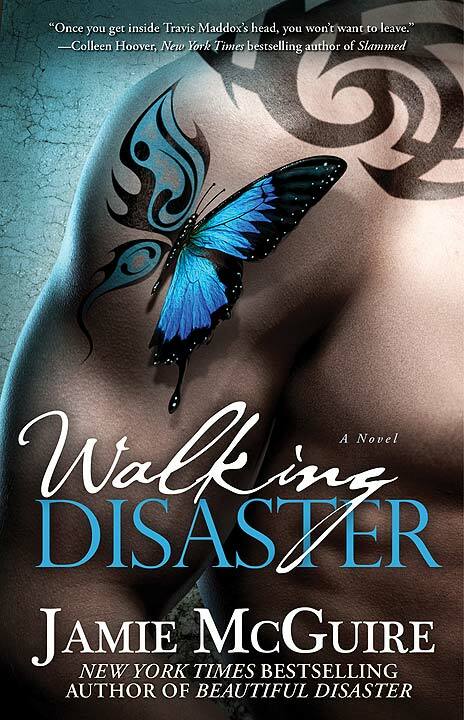 I enjoyed that as a writer and as a spectator to this romantic, thrilling love story! 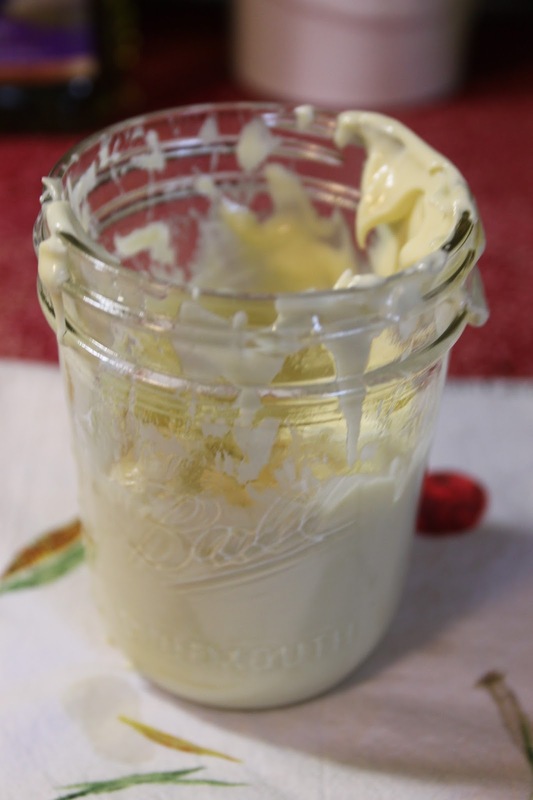 I have been trying to make mayonnaise for years. I wish this were a joke, but it's not. In the past, I would ask people, "Have you ever made mayonnaise" and they would say, "Oh no, I hear that's really hard." That's what I thought too...especially after the time I couple of years ago when I tried to make it in my food processor and just ended up with an eggy, oily mess. After that I was a little jaded. Because there was something about emulsification that I just wasn't getting right. It sort of made me angry that I just couldn't crack the code to this mayonnaise thing. And honestly, who wants to waste oil? That stuff is expensive. Anyway, I put in my own head that this would be the year that I conquered mayo. Because I am not a quitter. And because I love mayo. No shame in my game. When we ran out of mayonnaise as what can only be classified as a Southern Delaware monsoon, I decided to pull the trigger and make us some mayonnaise. In the name of a good lunch, of course. Guys, I am not even kidding when I tell you that this takes under a minute. You will never buy mayonnaise again. 1) I just threw whole egg into it. You are only supposed to use the yolk. 2) I was using extra virgin olive oil and that is a mayo no-no. Interestingly enough, I had been buying the mayonnaise "with olive oil" and just assuming that it was made with extra virgin olive oil...not so. Did you make the same assumption as me? 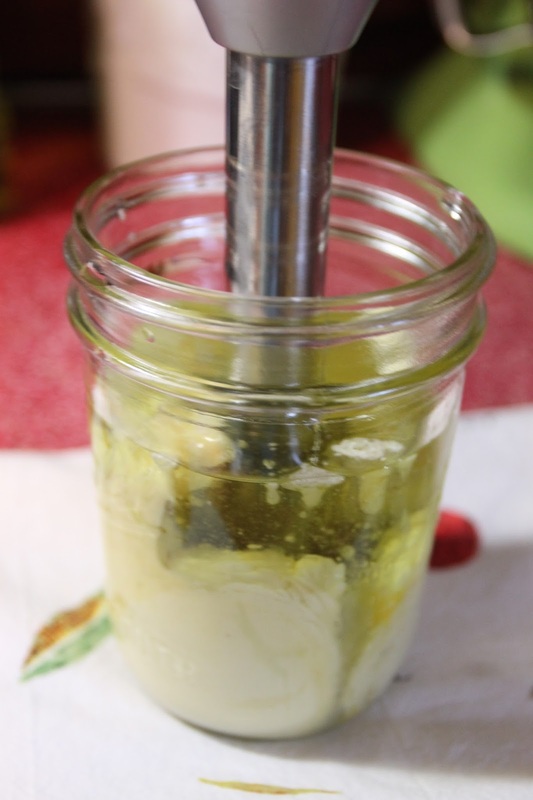 When making successful mayo, I now have a secret weapon: the inversion blender. As if I needed another reason to be in love with this thing, but still.... And you will want a wide mouthed Ball jar. In your jar put one egg yolk (make sure its a freshy! 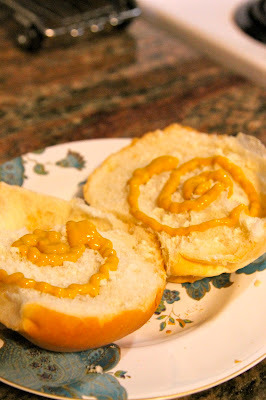 ), 1 teaspoon of mustard (I used Sweet Hot Mister Mustard), 1 tablespoon water and 1 tablespoon vinegar. 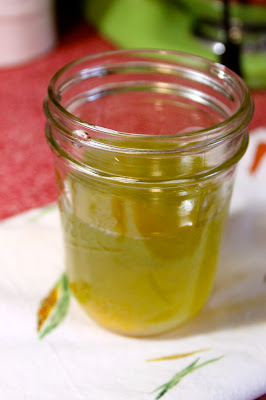 The original recipe called for lemon juice, but really you just need an acid and vinegar fits the bill juuuuuuust fine. And you need a cup of oil. Guess which oil I used? Give up? Grape seed oil!!! Pour your oil into your eggy stuff. Now stick your inversion blender in there and start your blender!!!!! I may have said an expletive when I completed this. Scratch that, I totally said an expletive. I couldn't believe that I made mayo. And it was delicious. I have been putting it on tomato sandwiches (on rye bread!!!!) and LOVING life. Bossy Italian Wife + Conquering Mayo = perfection. Ladies and gentlemen, start your zucchinis!!!! Is that not a thing? Well, I think it should be...because zucchinis are in season and I am ready to EAT EAT EAT! 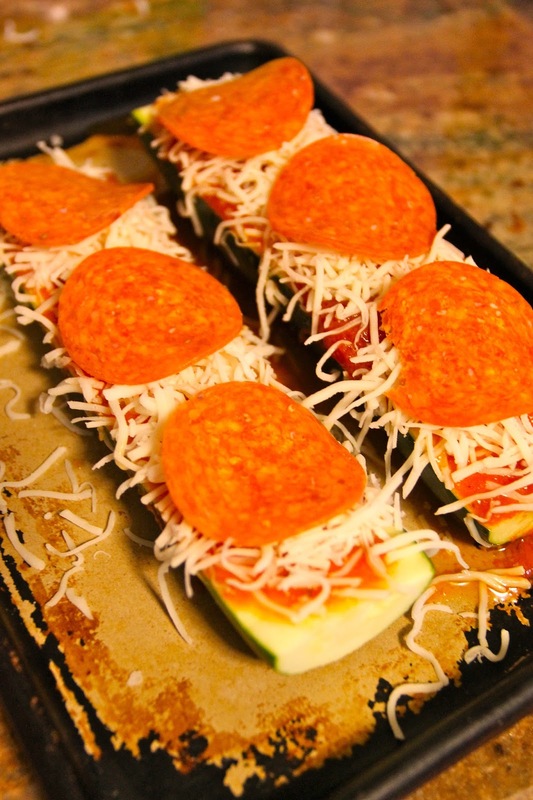 I have been seeing these zucchini pizzas all over Pinterest and other foodie sites and I was like, "I wanna see the deal about these things." So I made up this recipe. And it turned out pretty great if you ask me! If you ask my husband, this was an insult to pizza. Seriously. He tried it though. I think he even liked it. But does it replace pizza? Not in his book. Now, I want to take a moment to discuss that fact because my husband may be onto something there....does it replace pizza? Never. However, would this make a wonderful side dish? Heck to the yes! Also? These make a fantastic appetizer because you can whip them up in the a snap! I didn't do step by step photos on this one because it's so seriously easy that your mind will be blown. 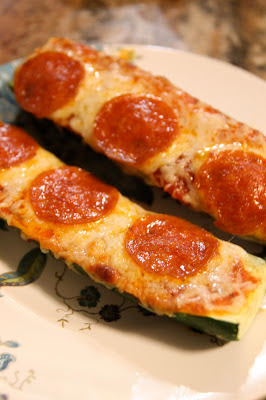 One zucchini, cut in half, topped with a little sauce, a little mozzarella cheese, and then, if you like, a pepperoni or two. Or three. Hehe. Now, pop these suckers into the oven on 450 degrees and bake them for 15 minutes. Don't they look amazing?!?!?! I really enjoyed this. If you want, you can serve them with extra sauce for dippin'. I ate it with a fork and knife...because it's still zucchini. Place them on a baking dish (I like my baking stones, but whatever turns you on works just great). Top each half with about a tablespoon of pizza sauce. Top with desired amount of cheese and then toppings. I used pepperoni. Bake in the 450 degree oven for 15 minutes. Allow the cheese to cool before you dig in because I burned the heck out of my mouth....I'm not very patient. I paid for this facet of my personality in mouth burns. I have these old Ball jars that my dad gave me. Well, really they came from my Aunt Evelin, who passed away a few years ago, but my dad had to clean out her attic and when he did, he found the jars and had me pick them up. There were a ton of jars in the boxes he gave me....over a hundred! As I started going through them I found these amazing vintage jars in blue. I was fascinated with them, and I keep them on display in my kitchen because they are just too cool. And because I am canning freak. But you all knew that already, right?! So.... then this year Ball released special addition blue vintage style jars. Which I bought the day that they came out, and paid way too much for shipping on. Way. Too. Much. All I can tell you, it was worth every penny. I love these blue jars. 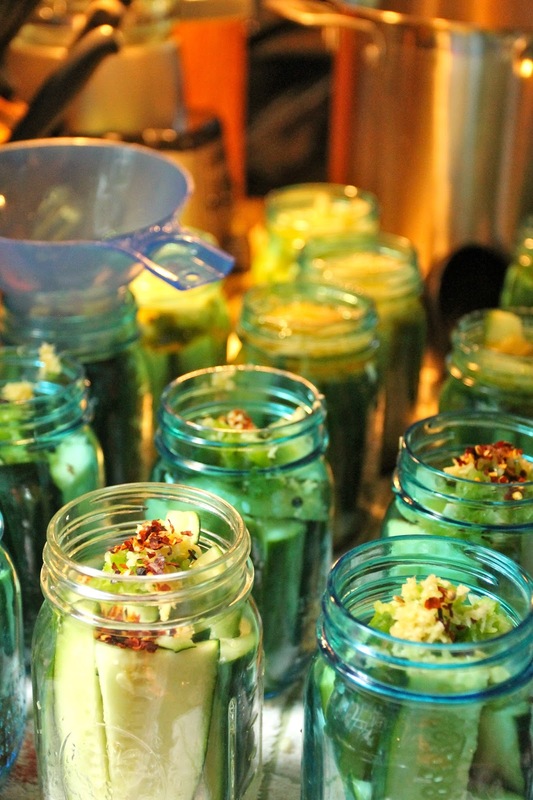 I used them to make refrigerator pickles. Then I got to thinking that I should share these jars with you guys--side by side! Because it's awesome to see old jars next to new ones. Can you spot the new one? The lid is a dead giveaway. You can tell that the color is a little more brilliant, being that's all new and stuff....and I am sure that the dyes are different than they were 100 years ago, right? They did a great job replicating the old jar for the 100th anniversary. And I did a great job purchasing them. Haha. I love my blue jars. So tell me, do you can? 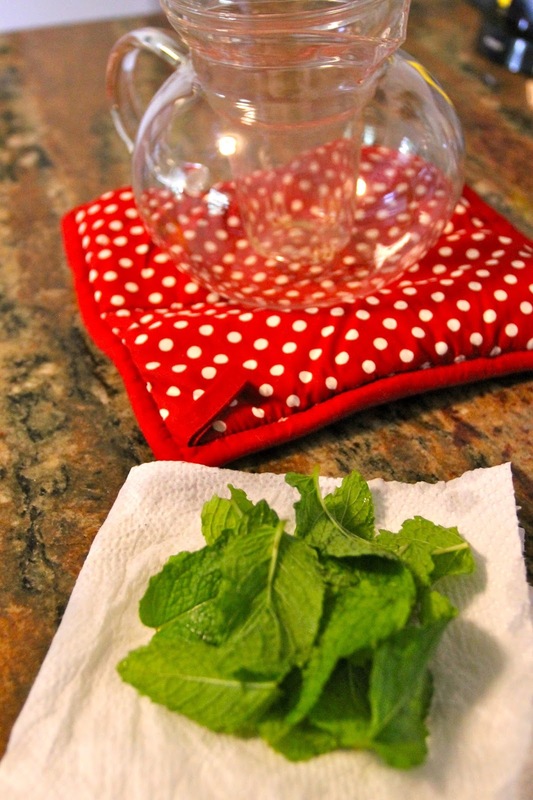 What is your favorite way to enjoy Ball jars? Do you display them, do you have a secret recipe that everyone loves? Leave it for me in the comments section below! My unabashed love of tea, at this point, is probably pretty evident. I'm just into it. Lucky for me, people always seem to jump right in line with supporting my quirks, and I love that. I am not sure if I have had much opportunity to talk about my landlords on my blog, but let me just start by saying, they are the best!! The story starts waaaaaaaay back over nine years ago when we first moved into our house. Back then, we were renting from Skip and Cecilia Higgins. They were an older couple who lived just down the road. He was American and she was British. They met and married during WWII and Skip brought his bride home to America with their first child, Lee. Before too long they had another child, Tim. Eventually, Skip and Cecelia came to own our rental property, and we came to live here. We enjoyed a nice and easy relationship with them as well as with Lee and Tim over the years as we all reached milestones, and endured hardships. In the years since we've lived here, we've had multiple roommates, eventually came to live by ourselves, switched careers, and got married. Lee and Tim, during that time, saw the loss of both of their parents. In the course of the time that I have lived in the home, I had become fairly close with Cecelia, especially toward the end of her life. I would bring her meals on occasion and we would sometimes have tea together. I loved hearing her old stories about life in England during the war. They were the type of stories--told of course in her still prevalent British accent--that seemed adventurous, comical, and insightful. She was of another time entirely....one where food was rationed, love was found in the face of war, and she, as a young girl, bravely signed up to join the ranks of those pitching in with the hope that joining the war's effort would keep her safe. She was a delightful storyteller. When she passed away a couple of years ago, I felt a keen sense of loss. It was probably during that time that I became closer to Tim and Lee. 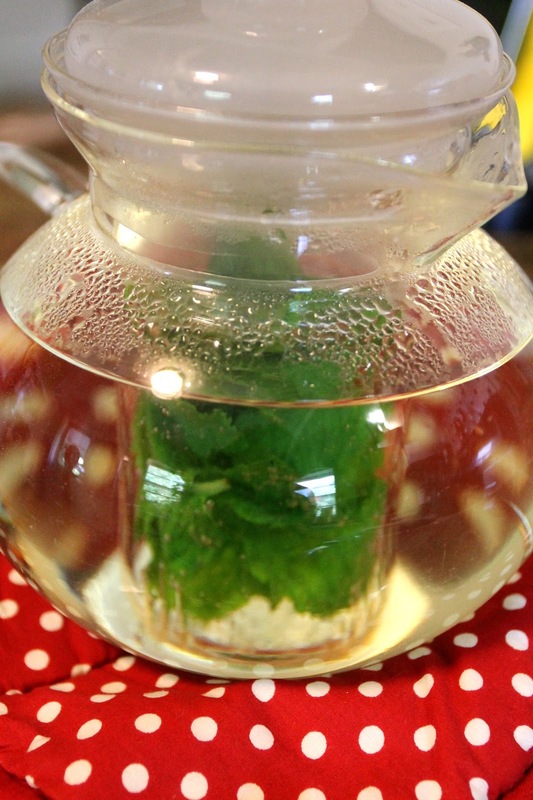 Several times I have enjoyed a pot of tea with Lee during our visits. He's an Earl Grey drinker mostly--British style with cream and sugar--and I enjoy a variety from black teas (also British style) to floral teas like Rose hip and mint. He (and his brother Tim) both have a knack for storytelling, just like Cecelia, and there is never a dull conversation. 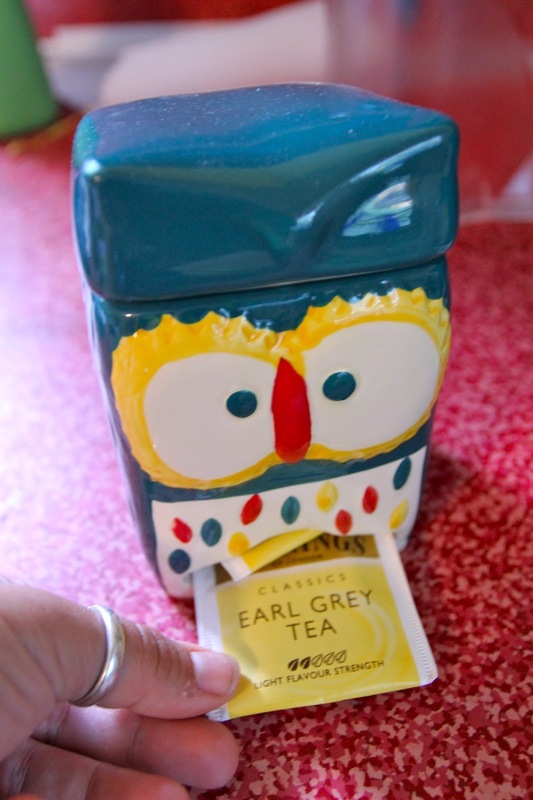 I think we can all agree that this gift is not only cool as heck, but a perfect way to enjoy tea for one. When I drink from it, I not only think of Lee, but I also think of all the history behind it. I think of his parents, and of Cecelia and the years spent enjoying this lovely home and property. It's not the most conventional tenant/landlord situation...but then again, I am not a conventional kind of gal. I wouldn't have it any other way!! For me, it is the simple pleasures that build over time in this way that give me a great sense of joy. Because one day, your landlord may show up with a gift for you that reminds you how far you have come in life, and it makes your soul smile. This was a moment like that....seemingly small, but really, bigger in a way. What are some of life's small moments that bring you to big realizations? Share them with me in the comments section below. 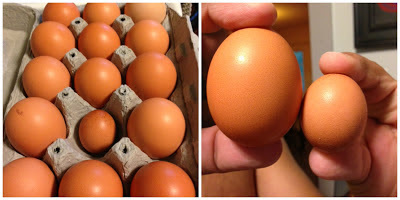 When my mother-in-law was watching my chickens, she told me "one laid a tiny egg. I mean REALLY small." I was like, "Okay, sure....how small could this thing possibly be?" Well, turns out it was tiny. Teeny tiny. It was the cutest little egg ever....looked like a fairy had laid it. Of course if you give a bossy wife a tiny egg, she's going to want to crack that sucker open, and that was precisely what I did! And what do you think happened? NO YOLK INSIDE! We gasped. Seriously. Couldn't believe it! Turns out that sometimes the chickens lay these teeny little eggs and they are called "witch eggs" or even (go figure) "fairy eggs!" I swear, the chicken must have sneezed this little thing out because I saw my one chicken, Daisy, lay an egg and it was laborious! Either way, these gals just keep right on surprising me with their funny egg laying tricks. For me, this is like the opposite of a double yolk egg. Which, since we are on the subject of egg oddities, I think we should delve into a bit further because I have a chicken who consistently lays these whopping double yolk eggs. They are not only delicious and double the egg bang for my chicken buck, but they are just downright cool. Please enjoy this awesome video featuring these unique double yolk eggs!!!! When I was a kid, I spent a lot of time in New York City with my Aunt Irene and Uncle Gregory. My Aunt Irene is a very eccentric woman, and when I was a child, this translated to the best New York adventures a child could ever hope for. We would go rock climbing in Central Park, have faux photo shoots all over the city, stage pranks, and (one of my very favorites) have frozen hot chocolate at Serendipity. They were served in these HUGE glasses of icy goodness with a straw and were more frozen hot chocolate than I could ever hope to consume in an afternoon. I will never forget it. This summer it's been hot, and one day I was looking to sip something frosty poolside. This was the perfect poolside treat! I added some Kahlua to mine, but that is totally optional. But totally recommended. Either way, this frosty treat is the perfect way to cool down on hot day. If you are a wintertime fan of the warm version, you are sure to love the extra icy, extra cold version I am whipping up today. 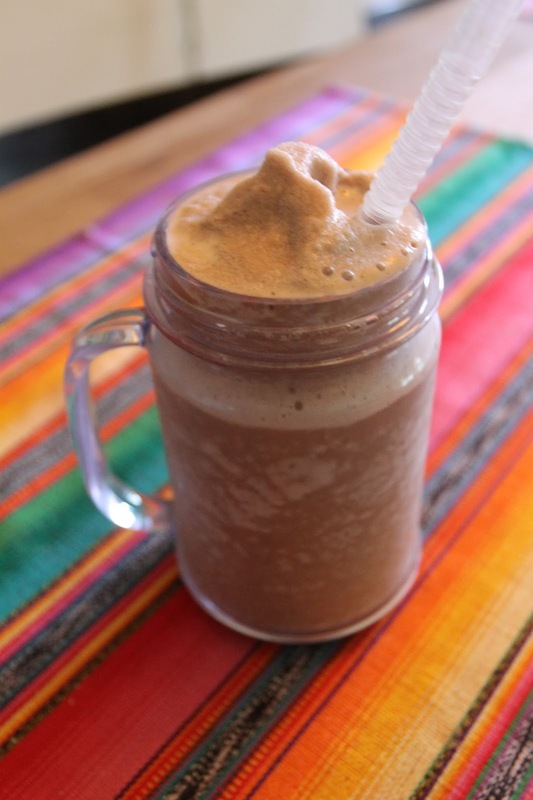 And, before someone mentions it, I know that this is really frozen chocolate....there is nothing hot about it....but I felt the distinct need to call it "Frozen Hot Chocolate." Humor me, would you? Thanks. I didn't do a step by step break down because, frankly, do you want to see me add ice to my blender? I didn't think so. What you want to do is drink this drink....and by cutting down on the pictures in this post, I am getting you to chilled goodness that much faster. You're welcome. Time: 5 minutes | Serves 1 (easily doubled, or even split if you are generous) | Difficulty: EASY! 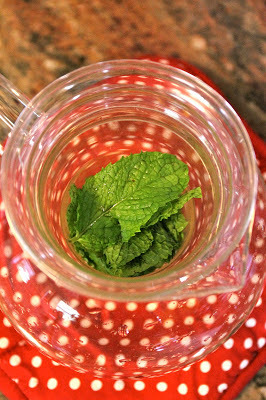 Place your ingredients in a blender. Turn it on and hope that your Border Collie doesn't come running into the room to bark at you for making too much noise---oh wait, is that just me? Okay, just turn it on. Blend thoroughly on high setting. Put it on the low setting for a second just to be sure. Then crank it back up to high because you feel more comfortable with it on high. Check to be sure you don't have any ice chunks in it. Some of us have complicated relationships with cheese. As a young woman, I have gone through a lot of phrases with food. Before I found my way back to my Italian-American heritage, I am slightly embarrassed to say that I had all but cut cheese out of my diet. We can all agree that is a small tragedy. How it happened, I cannot say, but it happened nonetheless. Like anything you love, eventually I had to come crawling back. Lucky for me, cheese (and dairy products in general) were waiting with open arms, welcoming me back into their cheesy fold. Cheese happens to be one of the most longstanding relationships I have, aside from pasta...oh, and my mom. When I am cooking on here, I like to get the most bang for my cheese buck. As a result, I use a lot of parmesan cheese...the sprinkle kind. You know it--it comes in a plastic container with those holes in the top so you can sprinkle it on. In many of my original recipes I call for parmesan cheese, and if I do, you can almost bet that I am using the sprinkle cheese. I told her it was because I was broke...but that was only half of the truth. I also just like it. Is that a crime? Is it a crime to like sprinkle cheese?! I grew up on the stuff. And it IS cheap. It’s easy to incorporate into a variety of recipes, too. Straight up: it makes me happy. If it bothers you--if you don’t share my unadulterated love of sprinkle cheese--that is fine. 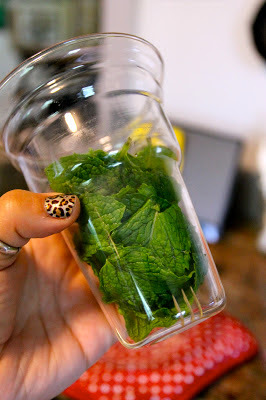 Or if you just don’t like the plastic container, you can put it in a glass dish. Whatever works. Do I dream of fancier sprinkle cheese, like the kind that comes in a block that I can grate myself? Of course, I’m a cheese-loving human. I love the extra tang of the pricey stuff that has been aged and lovingly cared for over it’s cheesy life. But I am also a writer, and I've got to make some concessions in order to enjoy cheese at all. Should there come a day when I’ve worked my way up the ladder of success and I have blocks of parmesano reggiano and fontina and havarti and aged white cheddar and fresh mozzarella lining my cheese drawer, you can probably still bet that someone in the back of the refrigerator there will be a container of good old sprinkle cheese. So tell me, how is your relationship with cheese? Do you think it's a crime to like sprinkle cheese? Do you turn up your cheesy nose at the sight of that plastic container? Leave it for me in the comments section below! This is one of those recipes that I have no idea how to title. We were in hurry to get to a one o'clock photo shoot, and we needed to eat a meal around 11:00....so it wasn't breakfast and it wasn't lunch. It was certainly brunch-ish time. And my sister in law Laura had visited, leaving some bacon. And I had some turkey. So I made these turkey and bacon sandwiches that would have been BLTs with turkey except I used arugula instead of lettuce. 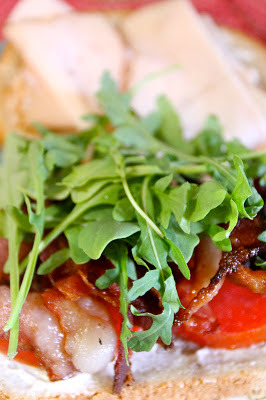 So they are Turkey, bacon, tomato, and arugula sandwiches. BTTAs. But you can't title a recipe BTTA because no one will know what the heck you are talking about. Point being? These are delicious. And fast. And brunchy. All those things make me happy. I had to use a picture of me making bacon because, let's face it, pictures of bacon cooking make people feel like a million bucks! Can you smell it? And while that bacon is a-cookin' you can start getting your sammie ready. First, put a gooooooood coat of mayo on it. Then a couple slices of turkey and two slices of in-season tomato. 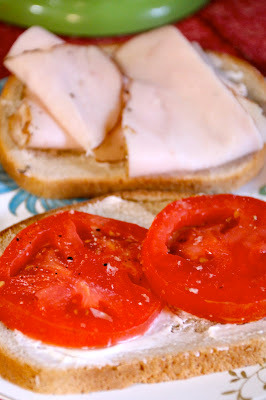 This is one of my favorite in-season tomato sandwiches!!! Slap four slices of bacon on there. Yep, four. And your arugula. Now you're ready to feast! YUM!!! I served mine with Italian-style dill pickles. Which you can snag the recipe for by CLICKING HERE. And while we are on the subject of this sandwich, I must confess I just can't figure out how to take a decent picture of the thing.... which do you guys like better the top one or the one below? I like this close up version....but you can't see the tomato. 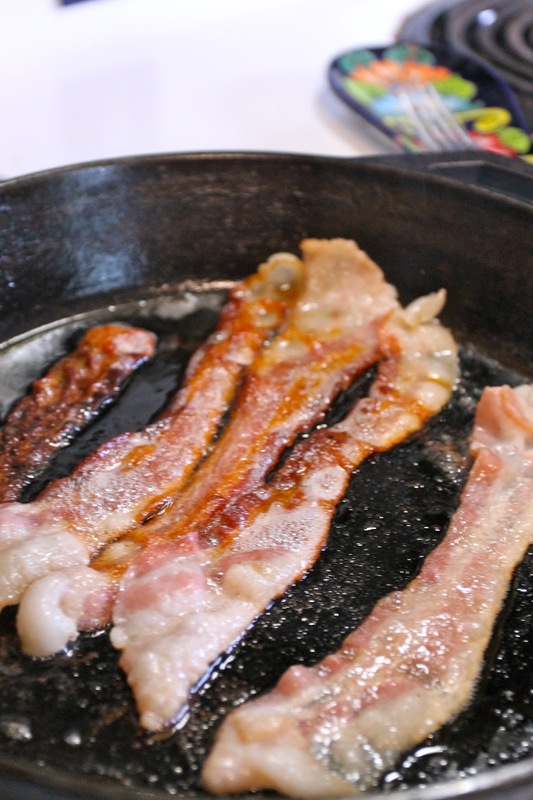 In a skillet over medium high heat, cook your 4 slices of bacon. Now, I don't do mine super crispy, and I know that this is a preference thing. I like mine a bit soft, if you can believe it, so I cook mine about ten minutes. Take a little longer if you like yours burned up--I mean "crispy." 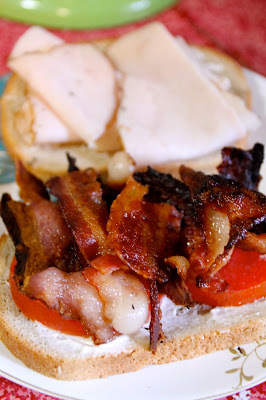 While the bacon is burning cooking, prepare your sandwich. If you like you can toast your bread, but I prefer mine untoasted. Slather (and I do mean slather) your bread with mayo. Add your tomato and turkey. When the bacon is cooked remove it from the pan and drain it on paper towels to get off any excess grease. Then half those suckers and put 'em on your sandwich. Add your arugula, and put the whole thing together. Then go ahead and slice if it you want to. Serve with italian-style dill pickles and prepare yourself for lunch/brunch HEAVEN! All these celebrities have been coming out lately and saying they are “humanists” (Susan Sarandon) or “feminists” (Amy Poehler) and to throw out another celebrity name (Miley Cyrus) I think that’s “pretty cool.” Well, since everyone else is weighing in, I wanted to throw my hat in the ring as well. Yes, I am a feminist. Take a moment, let it sink in, and now get the heck over it. I wanted to write this post because a lot of women who take to their kitchens can be seen as anti-feminist. Out of that notion grew a movement of women who see being at home with children as a feminist thing. There are also those who feel that liberation is found outside the home--and these are what I might call the traditional feminists--and they won’t stay at home not for a moment so don’t ask ‘em. 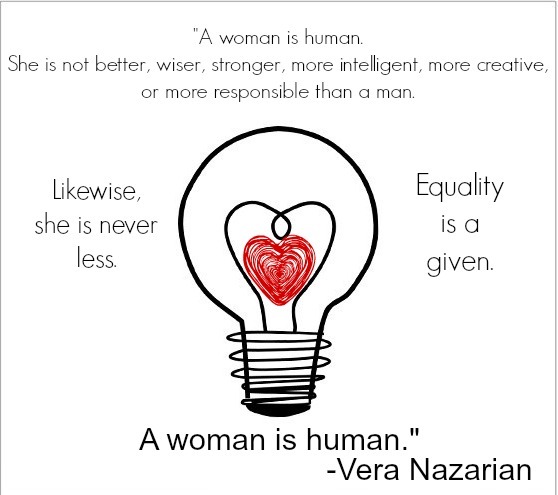 To be a feminist, you don’t have to “be” anything in particular...I would even argue you don’t have to be a woman. What you DO have to be? Open minded and accepting. Because feminism is not about who is the mommiest of us all, or who stays at home more than someone else, or who is more cutthroat in the world of working. It’s about having the right to choose what kind of person you want to be. That's it. The right and ability to embrace your [fill in the blank] of choice is the key to feminism in my eyes. And as far as I am concerned, my generation has a very incorporated sense of feminism because we've been brought up in a world with highly feminized mothers....for the most part. One of the biggest hindrances in our feminist revolution is really women thinking that they are more or less feminist than other women simply because they have made different choices. Women shouldn't be threatened by other women. Period. End of story. Whether you stay at home or go to work or are married or divorced or gay or straight, you are enough, you matter and you have the right to pursue what you want. That’s the type of feminism I believe in. For that matter, that is the type of human I am. 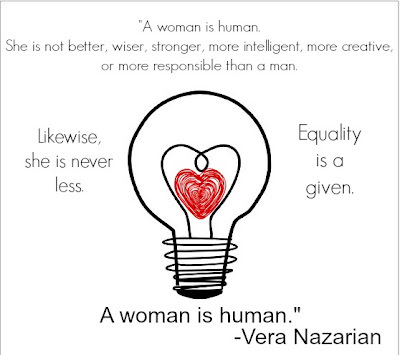 So in this regard, I guess I am identifying as a feminist humanist with a wide open mind and a lot of gusto. So take that y’all. And not to minimize all the wonderful stuff that feminism has done for us or anything, but seriously, if you aren’t into rights for all people, you’re just plain behind the times. So stop saying things like “a woman’s place is in the home” because what you probably mean is “I just want ot stay home” and you know what? That’s cool. And if you wanna work, and you think doing dishes and raising babies is for the birds, you’re right too. You’re all right. And I’m a feminist. When it comes to eating blueberries this season I feel like a champ. I have been getting an abundance of berries from my farmer, and we've been putting them to good use. We made a ton of jams right off the bat which included a regular blueberry variety as well as a blueberry peach variety! 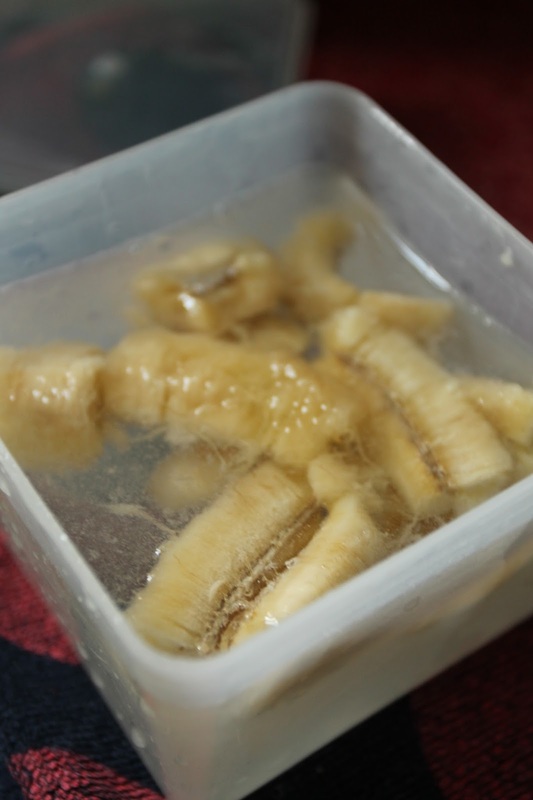 With some of our leftovers, we froze them in 3 cup packs for smoothies or pies, or whatever we want later on. Still, we kept on getting more blueberries! 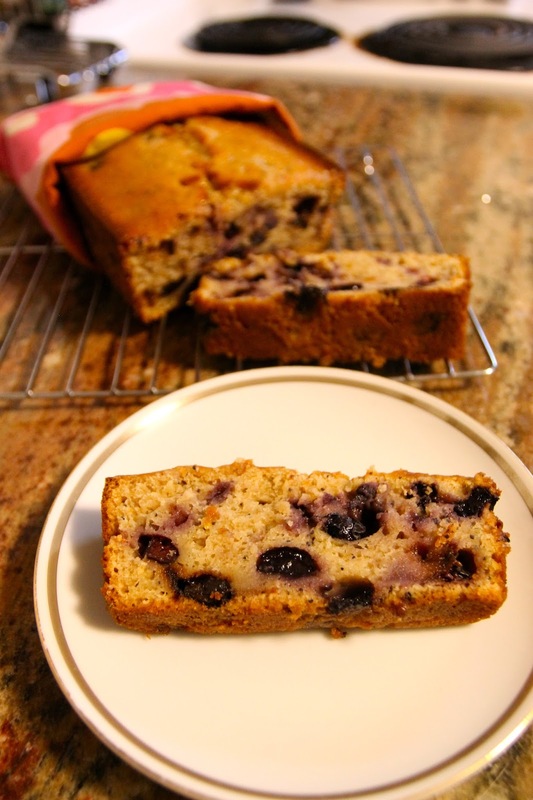 When life hands you blueberries, sometimes you have to make bread! And make bread we did! one afternoon, my mother in law and I made a ton of loaves including classic zucchini bread, chocolate chocolate zucchini bread, zucchini blueberry bread, and this lemon poppyseed blueberry loaf. Anyway, if you have a bunch of blueberries blueberrying around your kitchen, this is a great way to make use of them. I hope you will try it! Time: 1 hour | Makes 2 loaves | Difficulty: EASY! Preheat oven to 350 degrees. Grease two loaf pans. In mixing bowl combine lemon zest and juice, sugar, eggs, milk, applesauce and vanilla. In a separate mixing bowl combine salt, baking powder, and flour. Add the flour mixture to the sugar/egg mixture. Add your poppy seeds and blueberries. Mix fully. Pour batter into prepared loaf pans, dividing evenly, and bake on 350 degrees for about 50-55 minutes or until toothpick inserted in the middle comes out clean. Allow the loaves to cool on a cooling rack for at least 15 minutes before removing from the pan. So, as some of you may or may not know, our obsession with chickens is growing. It's growing so much that when we were coming back from Buffalo earlier in the week we stopped at the Roots Amish Market in Lancaster and picked up three new chickens! The Roots Market was really something to see. We plan on going back there for sure because they have all kinds of wonderful stuff like whoopie pies and roll butter and ham hocks and all kinds of canned thing. Did you know about pickled watermelon rind?! It's WONDERFUL! Sweet and sour in all the right ways. I am making some very soon. But back to the chickens. So, we go into the auction room and there are all types of birds in there. Not just chickens, but geese and quail and ducks too! The roosters were a-rooing, and chickens were a squawking. It was quite overwhelming at first. That is, until we found Ernie who set us staright on what was what. 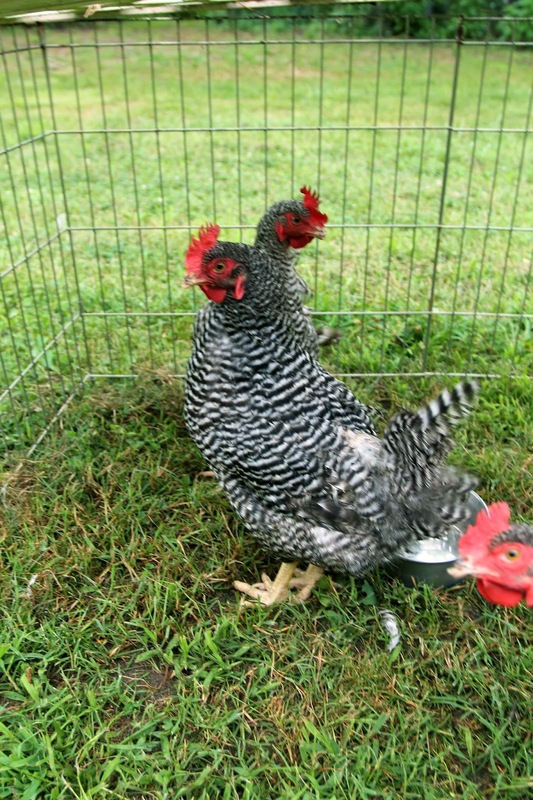 We had come in search of Amrocks, which are a beautiful black and white variety of hen. And would you believe our luck? The only chickens in the joint that were still of laying age happened to be the Amrocks! Ernie explained that they had been breeding chickens...so the roosters have had their way with these ladies quite a bit and then the farmer said "to heck with these bitties!" and they put 'em up for auction. I bet our ladies sisters are on a dinner plate somewhere by now! Well we stood around trying to decide if we were gonna pull the chicken trigger on these Amrocks and we decided, yes, we were. So, Ernie literally picked three at random and threw them in a box. He sold them to us for $5 a piece. We took our box of chickens and we split. When we got them in the cage back in the car, I noticed they were looking a little worked over. I looked at those hens I turned to my husband and said, "Either we've made a smart buy here, or a really stupid one." One was missing a good amount of feathers and the other two looked "straggled." I started calling them "Straggle Rock." Now that we have got them home and under quarantine (so as not to spread any diseases to our already healthy flock) they are looking a bit better....that is to say, they aren't as stressed and are working real hard on growing back their feathers. I like this picture because it looks like the one chicken is photo bombing! Haha. Makes me laugh. See how this chicken is missing all these feathers? She's been picked over by the rooster....poor thing. But I am confident they will grow back and be looking bushy in no time. I just couldn't get a picture with all of them looking at me. But this was pretty good. From far away, their feathers look great, don't they?! I love the red color of their combs against the black and white. Purdy right?!?!?! We haven't picked out names for them yet....any ideas?! Help us name our three new chickens!!!! Leave us your suggestions in the comments section below!!! When I started meditating daily in January, I knew that some of it would be a challenge. And by “some of it” I mean actually doing it. I was pleasantly surprised that I was able to stick with it. I have missed a few days off and on, depending on travel, or just a crazy busy day, but on the whole, I have been consistent. Since making this small change, I have realized that it makes a big difference. One department it makes a huge difference? My relationship. I am not even joking. Meditation has been great for my relationship. There are a host of reasons why....for instance, being mindful is generally easier when I meditate so I am just more self aware. Also, I am a must calmer person in general when I meditate. Which is a good thing. A very good thing. These changes make for some big relationship benefit ripples in the pond of life. And that’s all zen and stuff. Which is totally awesome. Here are some ways that meditation has helped me improve my relationship with my husband. Sometimes I can be a hothead. *Surprise* I have never been the most patient person...not for a minute. But when I meditate I am able to calm the heck down and take a darn moment when a darn moment is needed. This helps because, as it turns out, I married someone who has a propensity for dawdling. He still dawdles, but I don’t freak the fig out. Which, considering how loudly I talk, is quite an accomplishment. Mostly the not yelling thing has to do with the not getting angry thing which kind of leads back to the more patience thing. So, the whole meditation thing builds on itself, you see? This one is interesting. I ruminate on things that I should just let go. And then I react to them over a series of hours...sometimes days if I am being perfectly honest. When I am more patient, less angry and more mindful, I am more able to access my emotions, process them and, in turn, make changes more quickly. Thus, I can be more aligned with my logical side and not make decisions from an emotional standpoint. I notice this most often when I am NOT doing it, ironically. For instance, if I have missed a day or two of meditation and I have a moment where I am failing to react the way I would like, the pieces come together quickly. I center very quickly on the fact that I am less patient, loving, or [fill in the blank] that I am used to being and then *lightbulb* I remember I forgot to meditate.